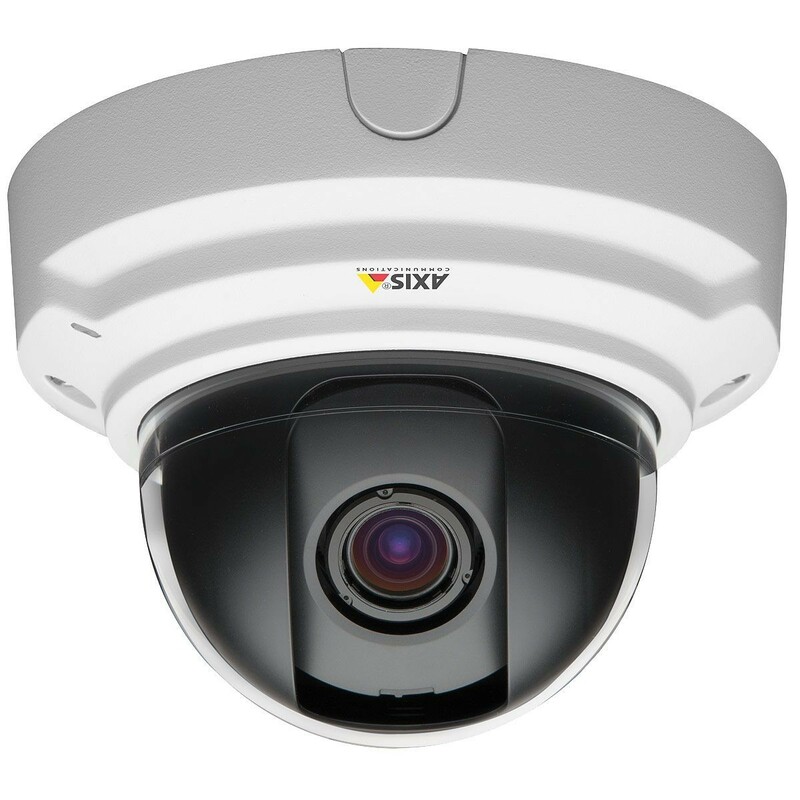 Day/night fixed dome with support for WDR – dynamic capture in a discreet, vandal-resistant indoor casing. Varifocal 3-9 mm P-Iris lens, remote focus and zoom. Multiple, individually configurable H.264 and Motion JPEG streams; max HDTV 720p or 1 MP resolution at 30 fps. Light sensitivity with Lightfinder. Video motion detection and active tampering alarm. Two-way audio and audio detection. I/O for alarm/event handling. SD/SDHC memory card slot for optional local video storage. Power over Ethernet. Midspan not included. Includes smoked and clear transparent covers. 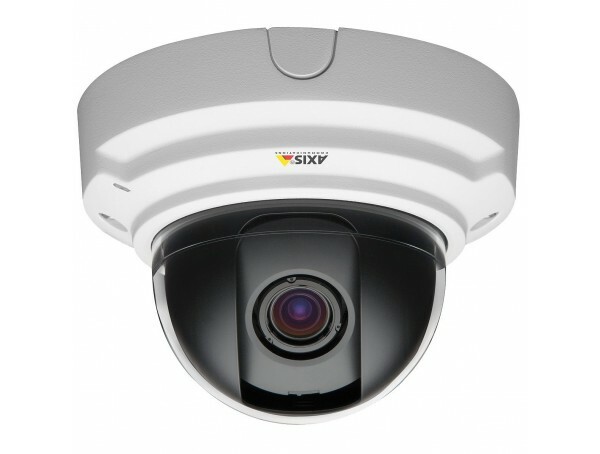 Polycarbonate transparent dome, aluminum inner camera module with encapsulated electronics IK10 impact-resistant casing with aluminum base Color: White NCS S 1002-B. For repainting instructions and impact on warranty, contact your Axis partner.